I absolutely love Fixer Upper, but man did I feel one upped. 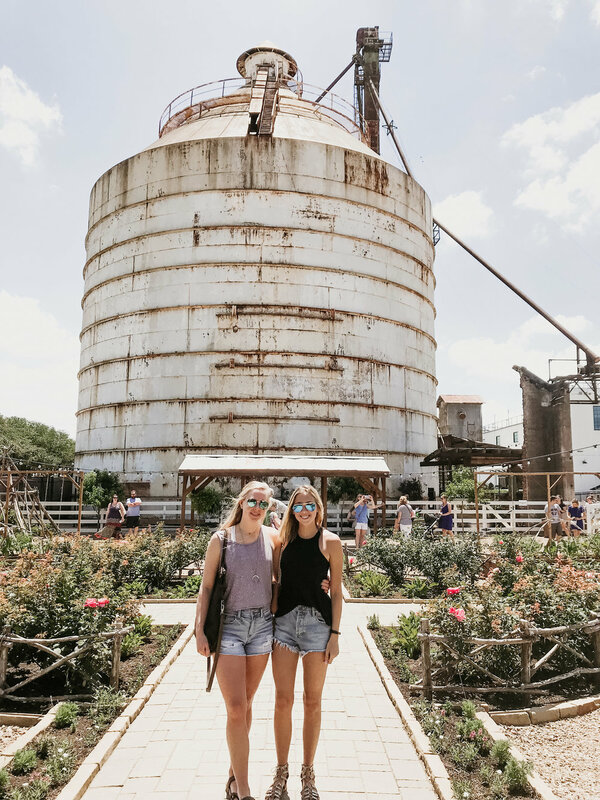 People all over the silos were referencing certain episodes, buying bags and bags of souvenirs, and I overheard multiple people share they came to Texas JUST to see the silos. Hats off to chip & jo for creating such a gold mine. Expect to wait in a very long line if you want a cupcake from the bakery. I semi-regret that I didn't wait in line to go inside, but its your call! The actual magnolia shop is super cool to see! However, probably 50%- 70% of the things you can get in waco you can get at their brand with Target. I convinced Christian to OK the purchase of a tee and mug. I felt those were justifiable keepsake memories & was pretty certain I couldn't find those items anywhere else. The trip as a whole was awesome! Seeing the silos in person, walking Baylor University's campus & learning more about their history and traditions, fueling up at the local coffee shops (common grounds), and spending time with my new family was a treat! If you've been wanting to go, just go! You can do it all in a 3-day-weekend! Or, make it a bigger trip and see Austin or Dallas on your way in! Either way, you know what they say, everything's bigger in Texas. And that has nothing to do with my post, but just wanted to end on a fun note, Y'ALL.